Harlequin SuperRomance Authors Blog: To Agitate...or Impell? I'm one of those people who enjoy doing laundry. When my husband and I were first married, we drew up an agreement—he would chop all the wood and I would do all the laundry. It was a reasonable agreement when we lived in north Idaho where we…I don’t know…had wood that needed chopped? After moving to Nevada, I definitely got the short end of the stick agreement-wise, but I never renegotiated because (a) I like doing laundry and (b) I don’t trust other people to do my laundry. Things happen--bad things to favorite clothes. If anything is going to happen, it will be due to a dire mistake on my part and, so far, those mistakes have been few and far between. Actually, they’ve been nonexistent. My husband asked why I didn’t want an impeller washer—after all, they use less water and they’re gentler on clothing. Well, so far clothing damage has not been a big problem for me. I’ve learned how to not damage clothing using an agitator washer. What I want is the ability to do some damage. When I wash jeans that have been out with the cows, getting you-know-what ground into the denim, I want to really wash them. I want to make them eventually look like a $250 pair of boyfriend jeans that you might buy at Macy’s. And then maybe I’ll sell them. I want to wash the heck out of the fabrics I’m about to sew so that I know the clothes I make can take a beating once I pour my blood, sweat and tears into their creation. And I really like to agitate towels. I don’t know why. I just do. We’ve yet to make a final decision, but my husband continues to hold the impeller line. He even said at one point, “Well, maybe we could get you a wringer washer and put it on the porch if you like the old ways so much.” What he didn’t know was that for two summers I did wash clothes with an old gas-powered wringer washer in a remote mining camp my dad ran. My mom taught me how to fold the wet clothing and put shirts through the wringer so that the buttons didn’t break, and the best way to work the thick part of jeans through…lovely times. I told him I would consider it. I wouldn’t want to do all my laundry like that, but nothing beats an old wringer washer for horse blankets. Are there any agitator washer fans out there? Or am I all alone? If you love your HE impeller washer, please tell me about it, so that I can make an informed decision. Their rivalry isn't new…but their attraction is! 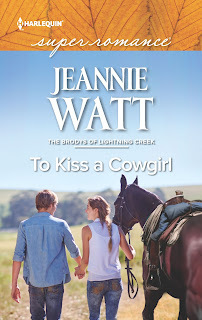 Wild spirit Jolie Brody never dreamed her new boss at the ranch supply store would be Dylan Culver. They haven't seen each other since high school, but he's just as straitlaced as ever. Good thing it's only temporary; Mr. Uptight is in town nursing an injury before he goes back to law enforcement. As they work together—surprisingly well—they can't deny their attraction. Letting a kiss lead to love is a commitment Jolie has never had to risk. So why is she now flirting with the possibility of a future with Dylan…a man with a dangerous job that makes everything complicated? 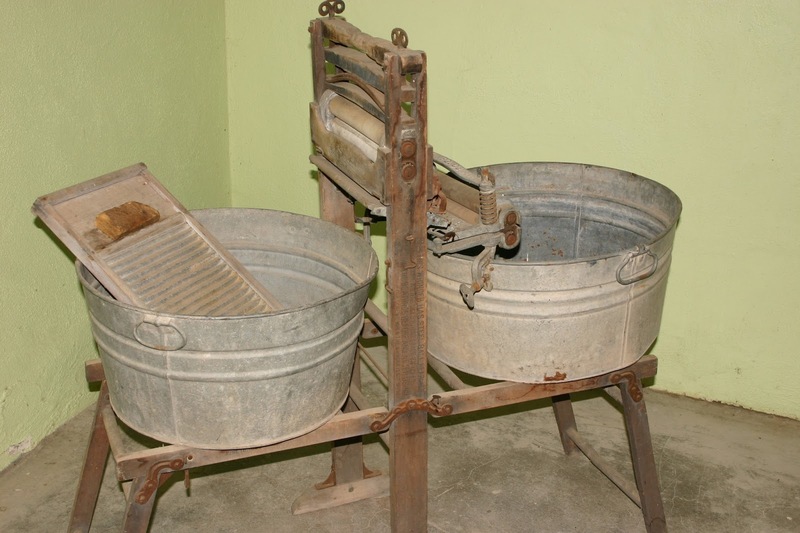 I grew up with an old wringer washer. Frogs would sit in the wringer needing to be rescued. Otherwise eeew!! I had not heard the term impeller, but apparently that is what I have. (I looked it up.) I LOVE my machine. 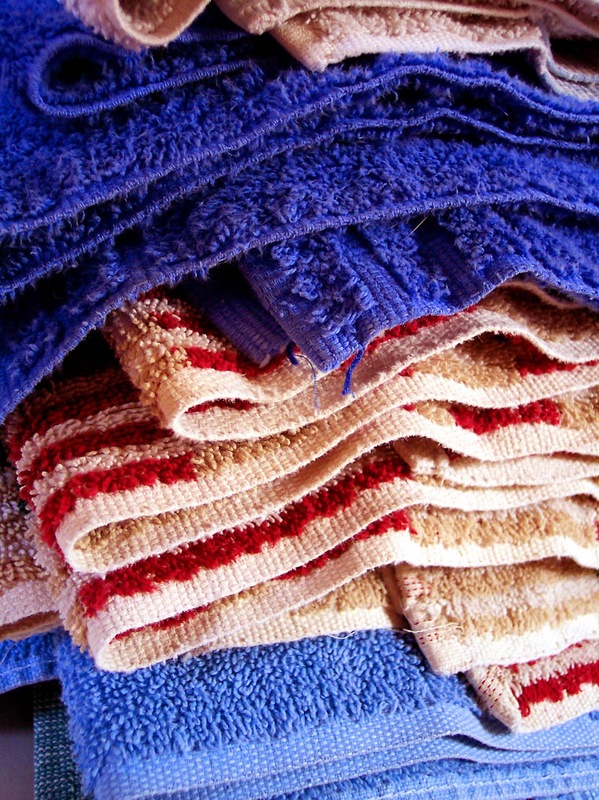 It washes the clothes well, but does not chew them up. Like Mary, I also remember using a wringer washer when I was a kid, and also like her, I had never heard of impeller machines. But we'll be hunting for a new washer soon as well, so this was excellent information to read. THanks for educating me, Jeannie! We have had front-loading HE washers for over 10 years (not sure if that falls into the impeller category or not--I haven't tried a top-loader without agitator). I won't go back to one with an agitator. I also would not willingly go back to a top-loader. I'm not that petite (a solid 5'4"), and I hated having to dive head first into top-load washing machines in order to get socks that were stuck to the bottom after their spin cycle. I have no idea how my 4'10" grandmother ever survived the modern washing machine era. On cleanliness: again, no issues. I didn't do cloth diapers for my kids, but have certainly washed my share of soiled toddler garments. And my youngest is not only an active boy, but has medical digestive tract problems, so we still have our share of badly soiled clothing to wash. Current washer has a steam cycle and some nice high-heat sanitize features. Just the regular and heavy-duty options do wonders for my gardening clothes. I actually think that the clothes rinse cleaner this way (they don't soak/agitate in a giant vat of dirty water, and all the tumbling does plenty of agitation). And I haven't broken or bent a bra wire in years. Even with putting all bras in lingerie bags and washing on delicate/cold water, I would lose a bra about every 3-4 months with our last top-loader/agitator. I love my HE washer. It is a front loader. You can buy top loader HE washers, too. I've had 2 agitator washers during my almost 24-year marriage. Left one when we moved, the other died at the new house after ~5 years. Replaced with the HE and have been happy ever since. Laundry for 3 boys (athletes with stinky/dirty clothes), husband, and me. My grandma's wringer washer is still in the basement of the house (Tennessee). Hasn't been used since the late 70s/early 80s. My other grandma had a wash tub on a stand I remember being sold at the auction before she went into a nursing home (Lancaster, PA). I also remember the wash tubs being sold at other relatives auctions. Mostly Amish buying those at the auctions. Hi everyone--thanks so much for the comments! I'm having internet issues so will be in and out intermittently. I'm starting to be swayed to agitator less by your comments. Also--so cool that so many of you have wringer washer experience! Thanks again for commenting. It helps me sort this all our. One bit of advice with the HE washer--however, my mom always taught me to do this with the agitator-style I grew up with--let the machine air dry before closing the lid/door between wash days. Any washer is prone to funky smells or mildew if not properly dried out. Wipe the gasket regularly, too.